Business investment and exports are forecast to strengthen as the global economy picks up and the Eurozone returns to growth, confidence rises, and credit conditions continue to improve. Business investment is forecast to grow by 7.3 per cent in 2014 from -2.8 per cent in 2013. Ecoing the ONS statistics published last week, the CBI forecasts that the unemployment rate will remain at 7.8 per cent in 2013, but will fall slightly to 7.6 per cent in 2014, with unemployment expected to be relatively sticky over the medium-term, as hours worked increase and productivity begins to recover. Consequently, the CBI expects interest rates to remain on hold beyond 2014. 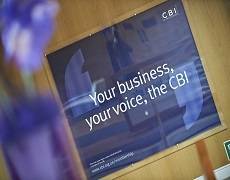 Stephen Gifford, CBI Director of Economics, said: “Increased confidence, improved credit conditions and a pick-up in disposable income should underpin consumer spending in the UK through 2014.